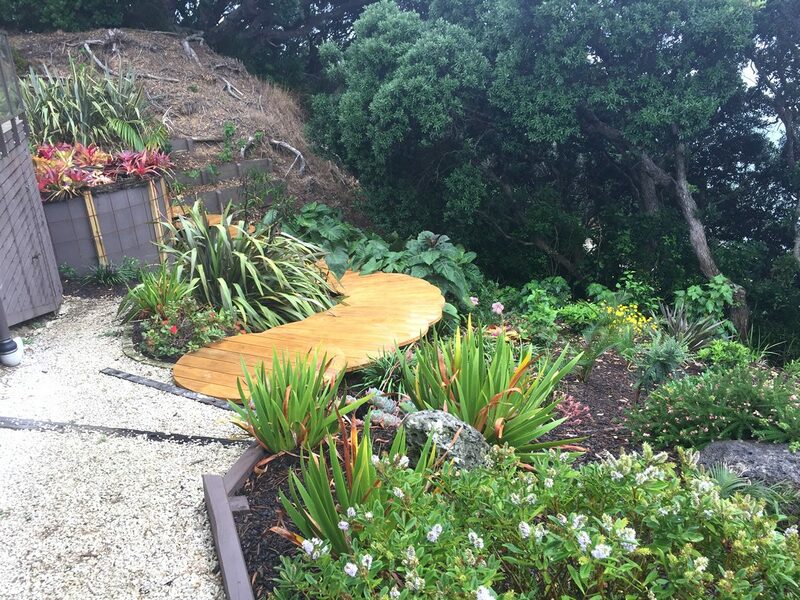 I met Querida and Graeme three months ago. 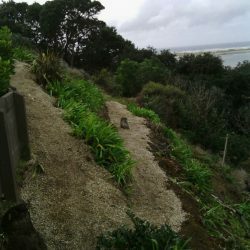 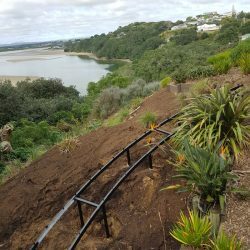 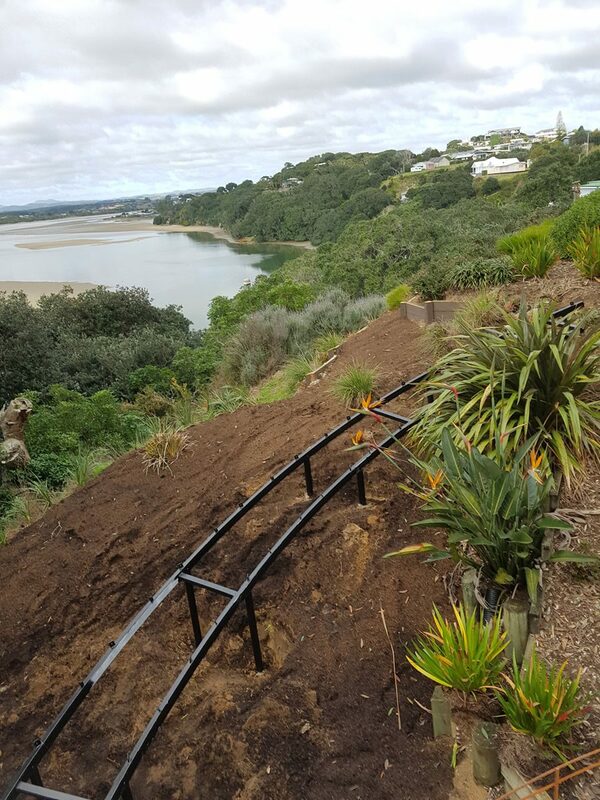 They live in Mangawhai, approximately 300m from a job that we completed four years ago, and have since been maintaining and developing. 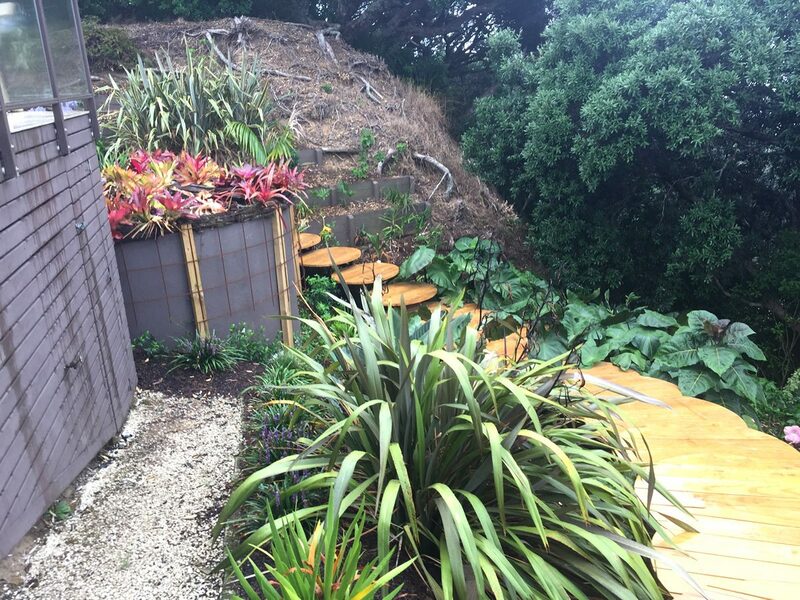 This job is a tropical garden and has developed into something quite spectacular. 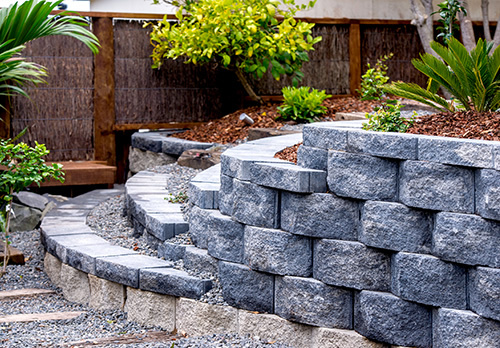 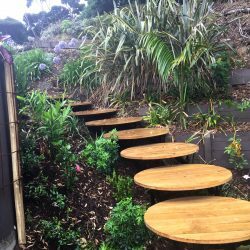 Querida and Graeme have always admired it and they decided this year they were not going to travel overseas, they were going to spend their money on upgrading their garden. 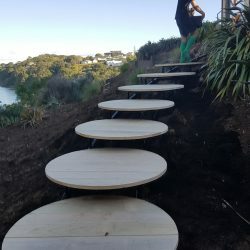 We were fortunate enough to be chosen to do it, as they loved what we did up the road. 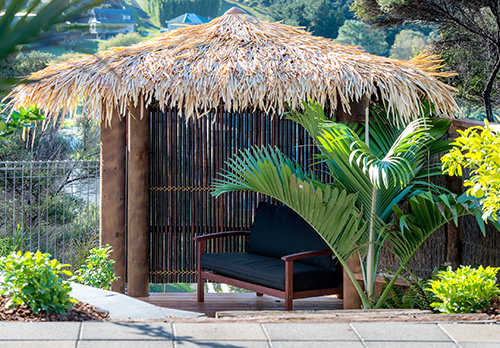 Discussions with them established a budget they had in mind and clearly identified they were into the tropical scene. 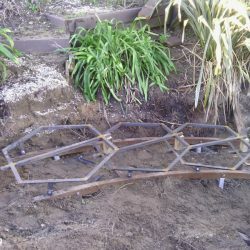 They also wanted a little bit of art incorporated, something a bit different. 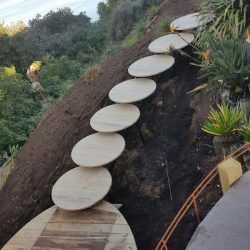 It took me about two months pondering it, to come up with a bit of a plan, and when I proposed that to them, they thought it was a cool idea. 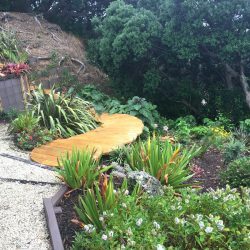 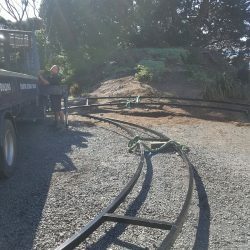 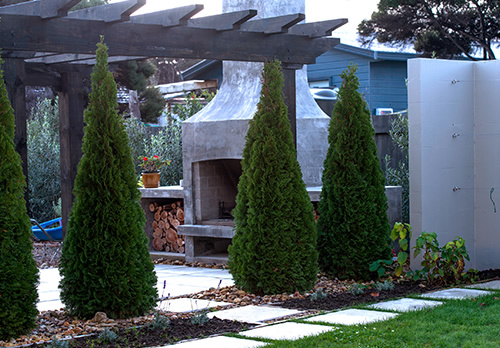 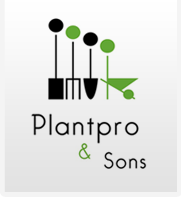 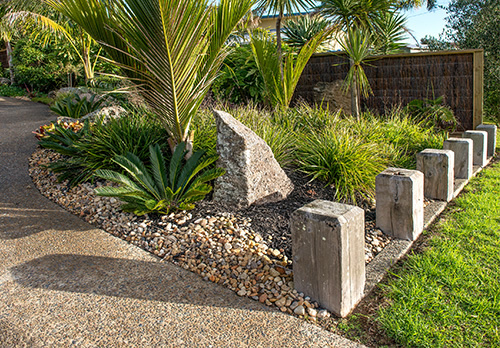 Most of their gardens were already complete and tidy, it is already a well-established property, they had had previous landscape designers come in and do some work. 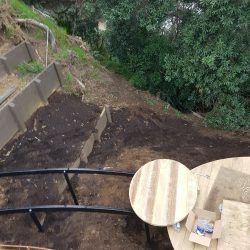 There was only one area that had no attention paid to it, and that was basically the back yard. 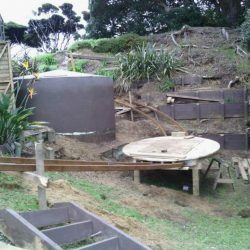 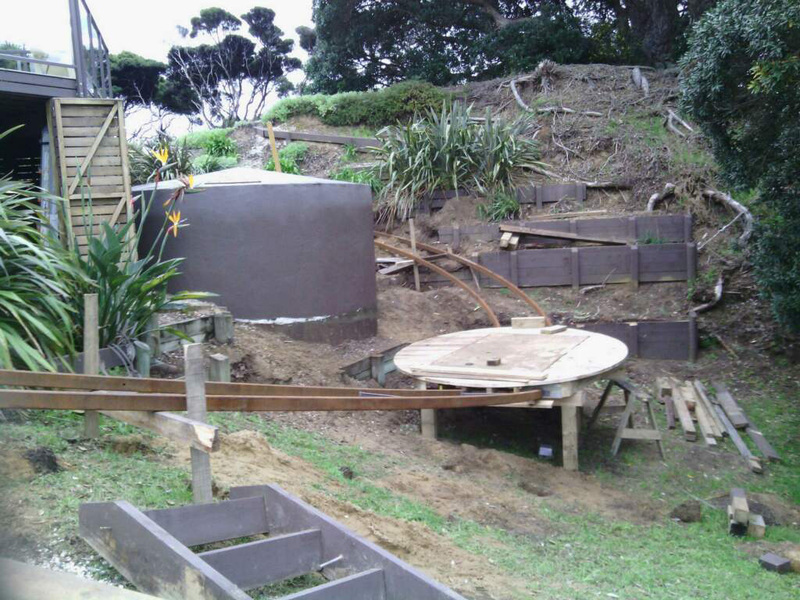 There were two unsightly water tanks, the property dropped away, there was no real access to it, it had never been completed. 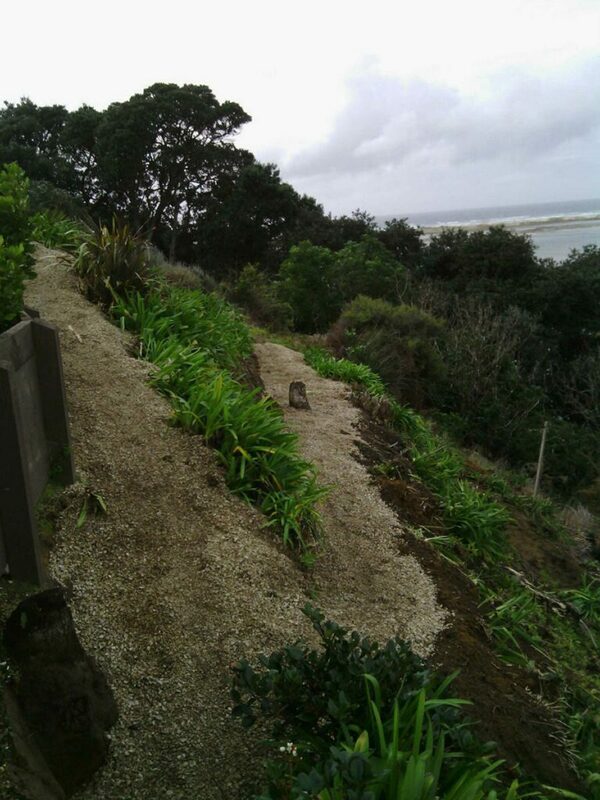 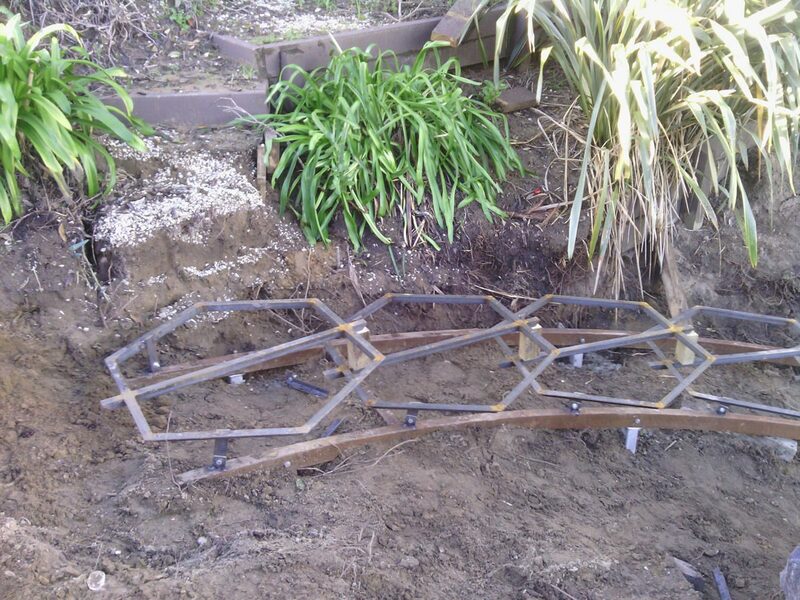 There was an attempt at retaining the sand areas and generally it was a bit cobbled together. 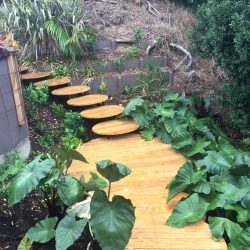 What we decided to do was build a floating staircase that would work its way through this area, and then plant the whole area with tropical planting. 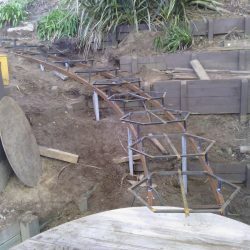 We would hide the build aspects of the job, which were ugly and sort of utilitarian, and link the house so that you could walk right around it, and turn this particular area into something special. 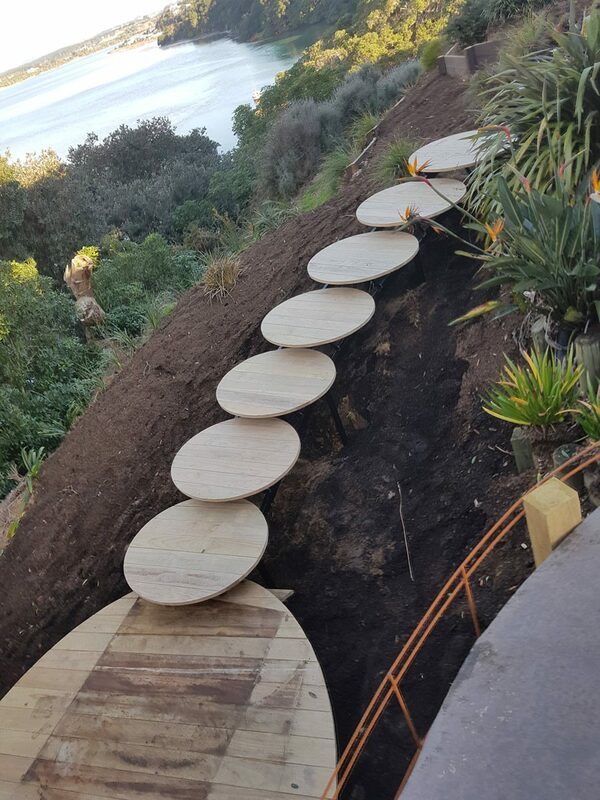 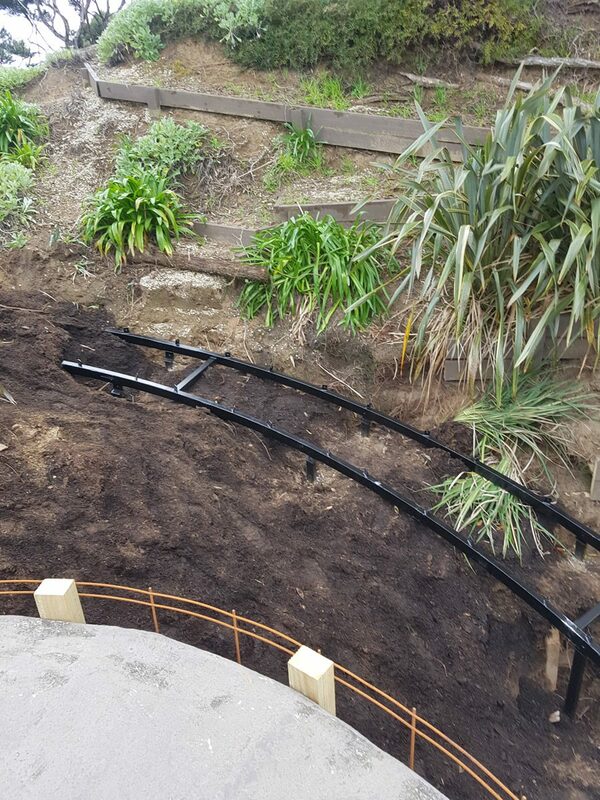 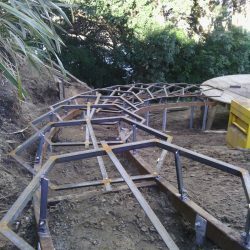 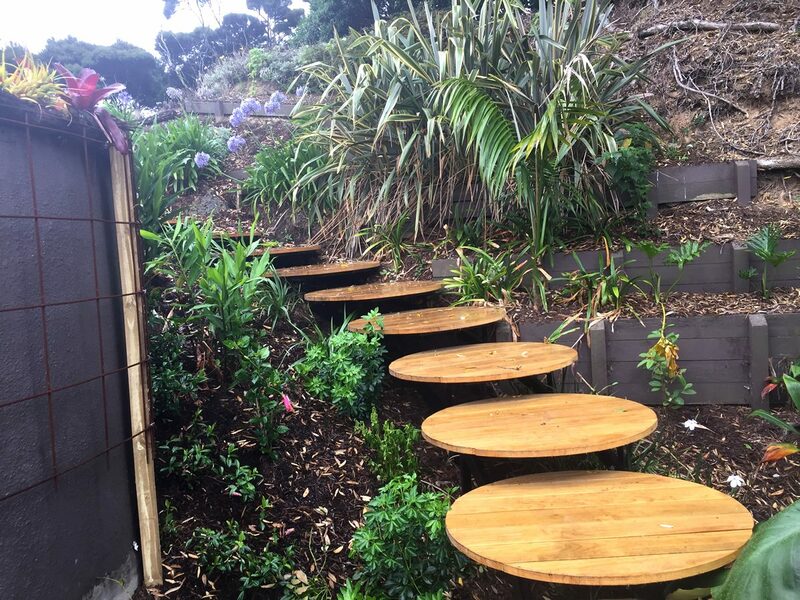 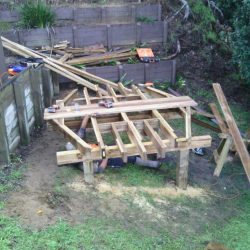 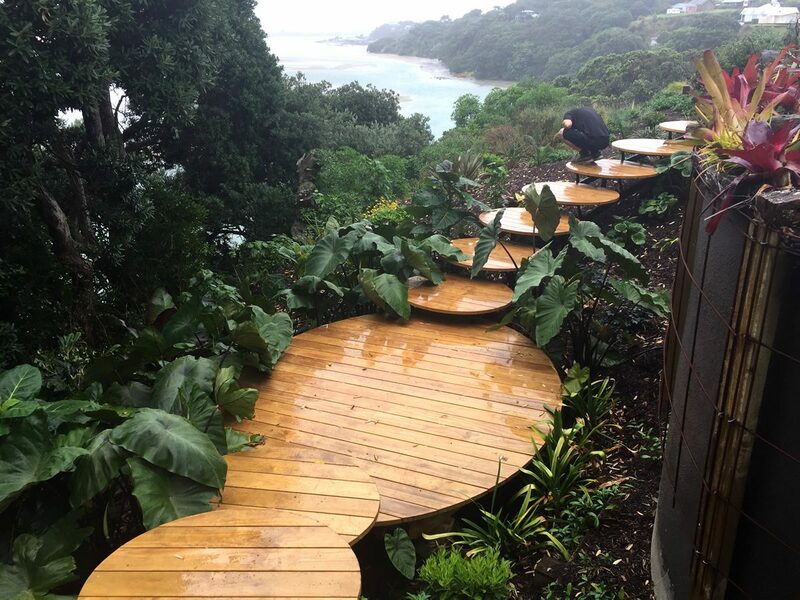 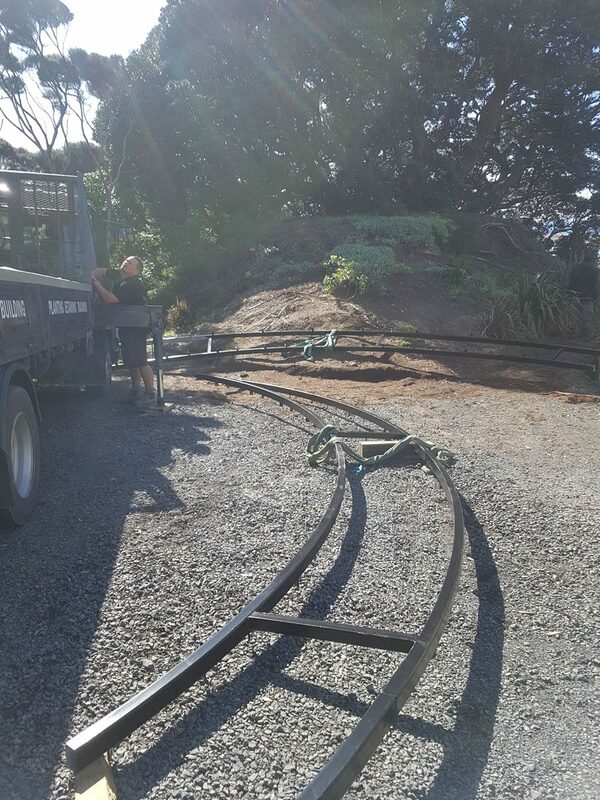 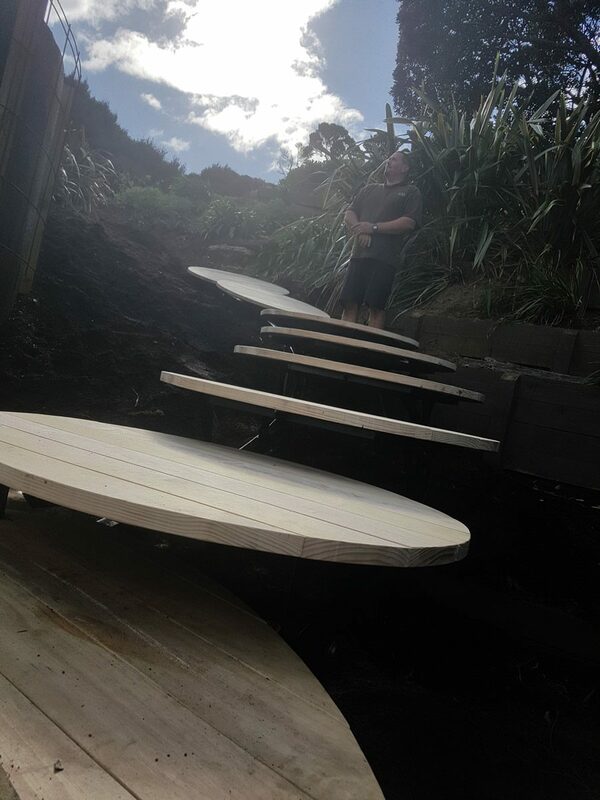 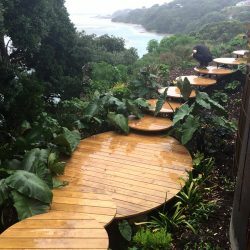 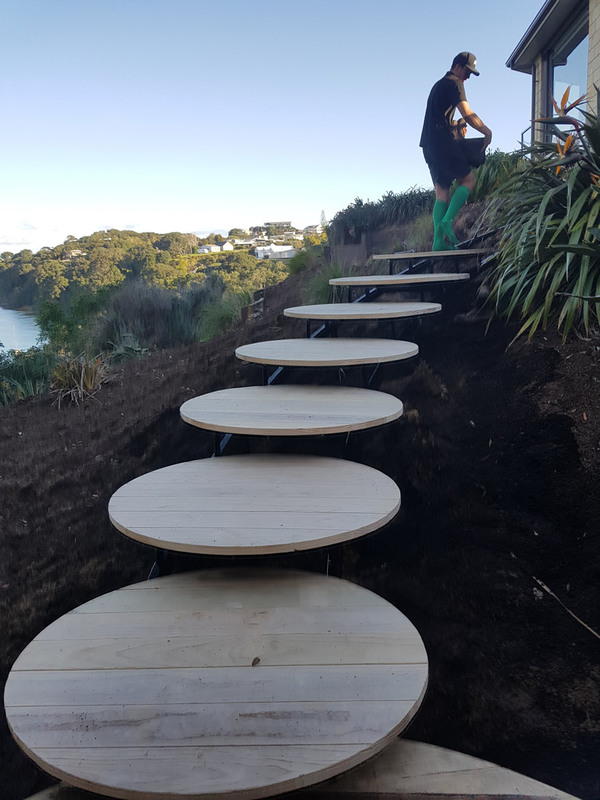 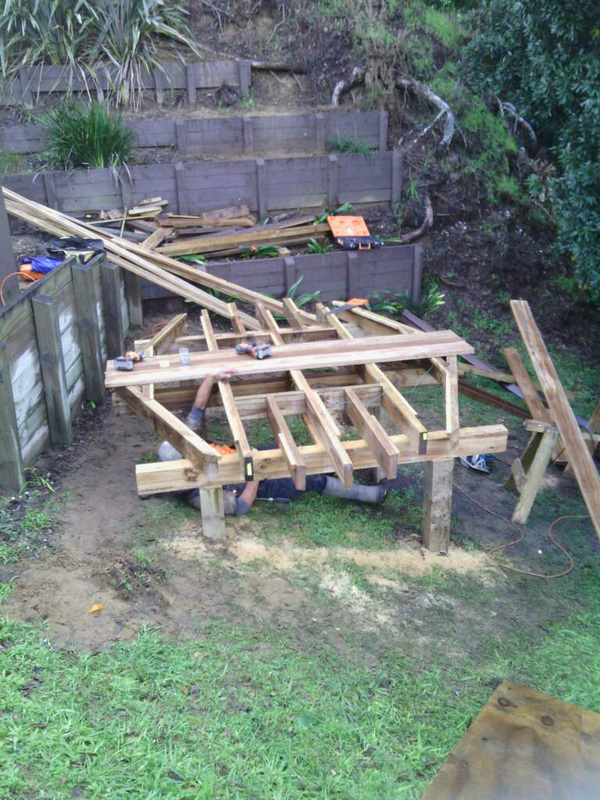 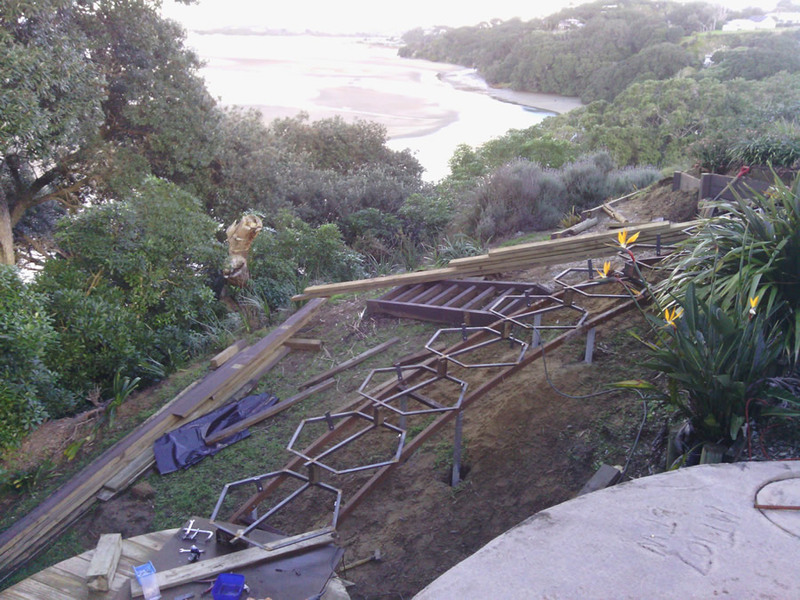 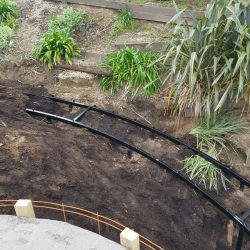 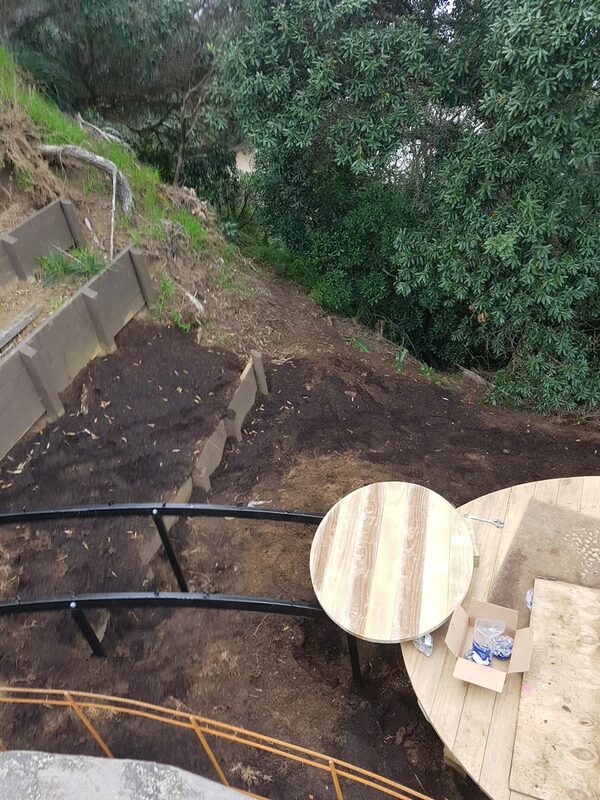 We designed and had built a curving steel frame structure with timber platform steps to form what is in effect, floating platforms, to work your way down to a bigger platform and then back up to the path. 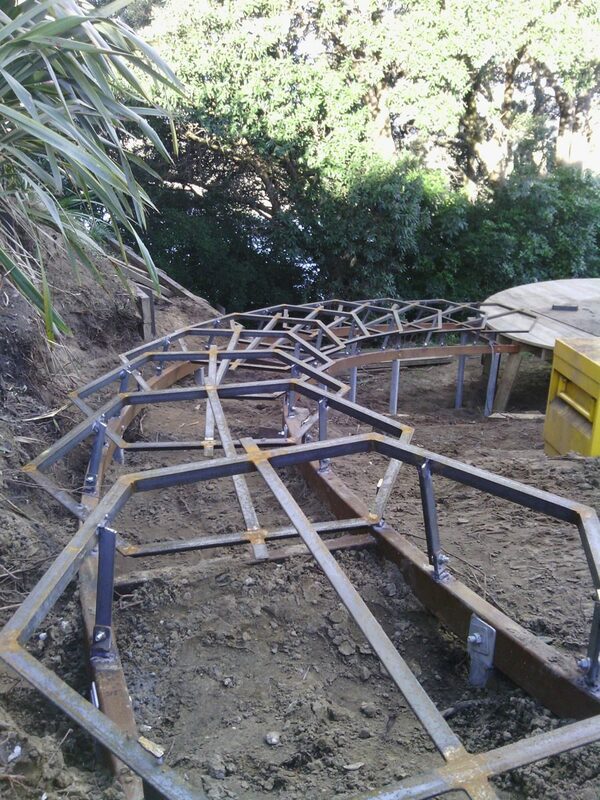 The structure is about 23m long in total. 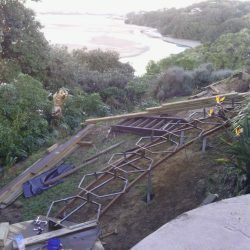 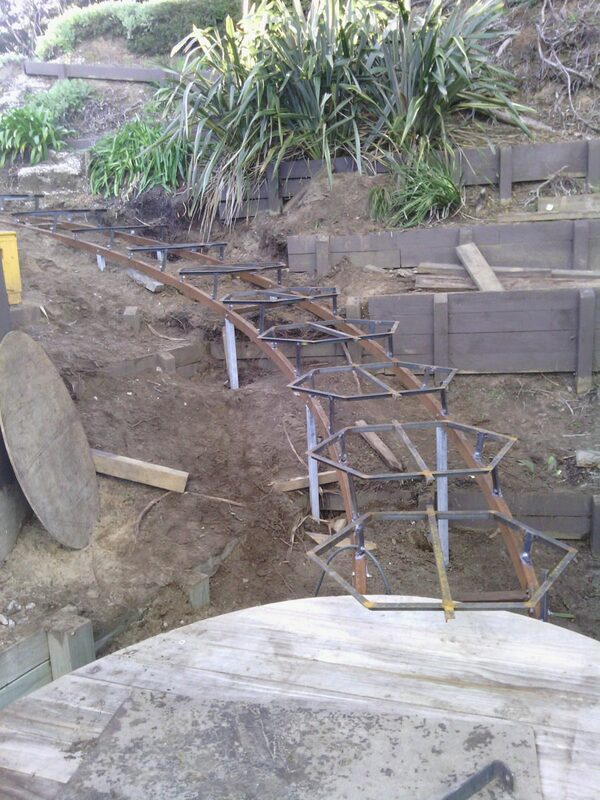 It took us two months to build because of the technicality of welding things on site, having the frame all fit together, and then taking it away to be galvanised and then brought back again, painted, and then repainted and have all the steps bolted to it. 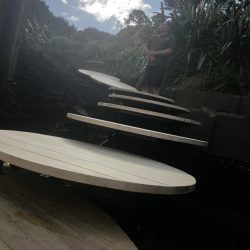 The platforms were then sanded and cleaned, and then a final seal coat put on the timber. 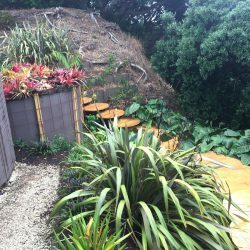 Now we have to look after the garden for three years, to establish the final space, ensuring the tropical plants grow, and the whole look is as we originally designed. 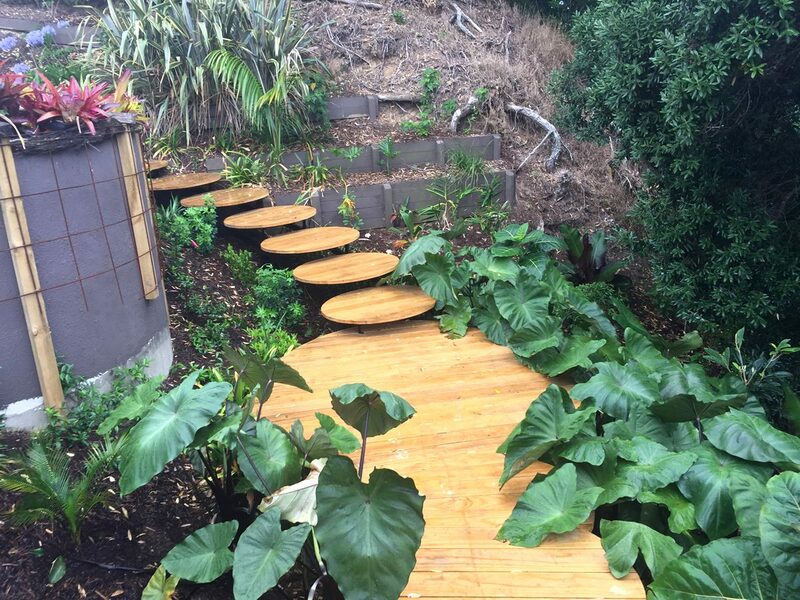 The clients, Querida and Graeme, are extremely happy with the finished project.